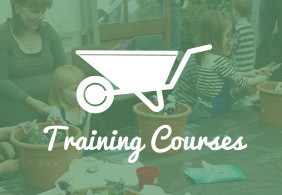 Welcome to Gardening4Kids – the gardening school for children in Aberdeen City and Shire. Gardening with children encourages their interest in nature and enthusiasm early on, and gives them invaluable basic life skills and an understanding of the world around them. Growing their own fruit and vegetables also means that children are less likely to be ‘fussy eaters’ and develop a healthy attitude to eating fruit and vegetables. 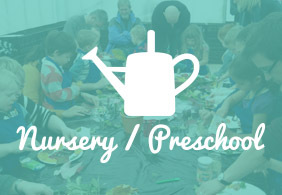 Gardening4Kids holds monthly classes for pre-schoolers and primary school aged children in local children’s nurseries, garden centres and play centres in Aberdeen City and Shire. It offers a range of activities including seed sowing, fruit, vegetable and flower growing and related craft activities. 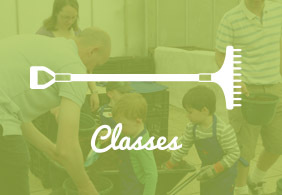 Parent/child classes provide a perfect opportunity for you to spend quality time together and you are important to Gardening4Kids sessions being successful. We also run a Forest School called Woodlands4Kids. Check out the Woodlands4Kids page for further details. We hope to see you soon at Gardening4Kids or Woodlands4Kids! Joanne.